Welcome to Reyland's of Seavington, we are Mercedes- Benz Specialist's and have just taken delivery of this stunning AMG Mercedes CLK finished in Brilliant Silver metallic with only 33,000 miles. 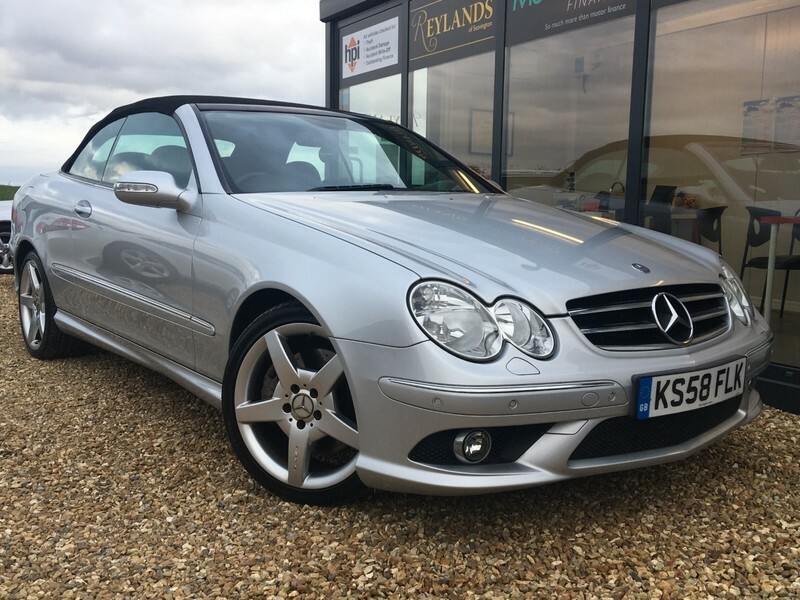 This CLK is in outstanding condition and is quite possibly the best in the country...it is really that good its exceptional. This CLK not only has the best engine but it also has the factory AMG factory body kit. This CLK also has a excellent specification including Auto/Paddle Shift Gearbox, VERY RARE FACTORY OPTION OF SAT NAV,18" AMG alloy wheels, heated front seats, front + rear parking sensors, black leather sports seats with air lumbar support, aluminum interior trim, rear spoiler, ESP (traction control), air conditioning, cruise control/limiter, auto lights with headlight washers, radio/cd player, fully electric convertible roof + heated rear screen, black leather multi function steering wheel,front fog lights, air adjustable lumber support, remote locking + x2 keys, electric windows, electric FOLDING mirrors. This car is simply stunning and an absolute pleasure to look at and drive....the new owner will be very proud and lucky to own such a superb Mercedes.